Nature is being lost all around us. It is alarming in its implications for both livability and sustainability. How can we better connect to nature in a distracted digital world? Although it may not be intuitive, these are also promising times because of all the digital tools and technology we now have at our disposal, and the hope they hold to connect us in meaningful ways to the nature around us. Whether technology will make a difference and help to ignite conservation actions or support for conservation, remains to be seen, but there is evidence that these digital connections help to change our point of view in some important ways. Can these digital interactions—while obviously not substitutions for time spent watching, listening to, and enjoying nature “in real life”—add an important element of enjoyment and meaning, especially for urbanites who may be far removed from nature? Through digital connections, we are extending our innate curiosity and softening our hearts to vultures and sharks, and many other species. In January of 2016, I had the pleasure of attending the USAID Environmental Officers Workshop, a meeting that brought environmental staff from posts all over the world. On one day, the organizers showed a short video, in Spanish—a public service announcement that described an innovative effort to use GPS-tagged vultures to find illegal trash dumps in Lima, Peru. It was a fascinating story and sent me on the search to find out how this initiative came about and what its impact has been. The story partly intrigued me because of a longstanding affection I’ve had for vultures, mostly Turkey Vultures, which I got know when I was a glider pilot in my youth. We used to watch them spiralling and aimed our sailplanes in their direction in hopes of catching the thermals they intuitively knew were there. Not many other people, I discovered, had much affection for Turkey Vultures, and of course many them ugly; some see these “nature’s-cleaner-uppers” as downright revolting. For me, they have remained most majestic creatures, creatures that have perfected the art of soaring with nary a movement of wings. Their effortless ability to stay afloat, and their graceful movements, have been nothing less than miraculous to me, and an endless source of wonder and joy to watch. Many of the details of the story of the Lima vultures (American Black Vultures, Coragyps atratus) I learned from Lawrence Rubey, the USAID official in Lima who helped to initiate this unique program. In partnership with ornithologists at the University of San Marcos and the Lima Natural History Museum, the idea was to use GPS-tagged vultures to raise awareness about environmental issues, especially the problem of clandestine garbage dumps, a major problem in Lima. Their team eventually tagged 10 vultures, and they can be tracked in real time online. One can visit their website and watch the blinking icons of vultures to locate their current positions and where they have traveled and visited. Two of the vultures were, for a time, outfitted with Go-Pro cameras, which generated some impressive footage of what it might be like to be a soaring vulture. Each of the vultures was given a distinctive name—there were Grifo and Elpis, and Captain Higgin (the vultures were grouped into three teams, each with a captain!). 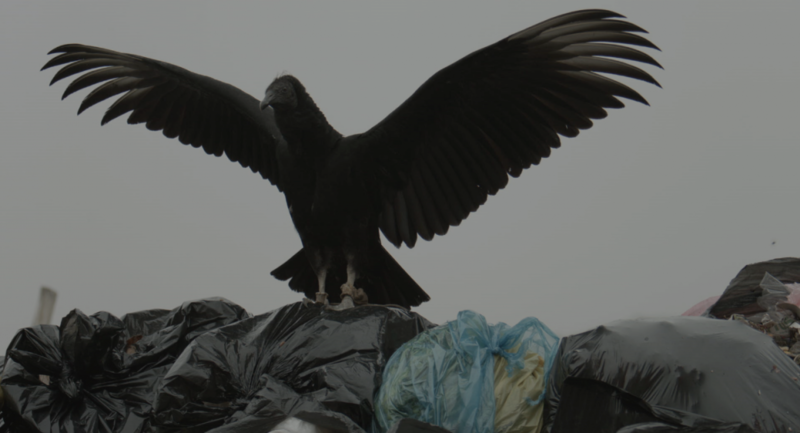 The vultures have indeed been used to identify garbage dumps, leading to the next step, the organizing of community-based cleanups. An American Black Vulture (Coragyps atratus) in Lima. 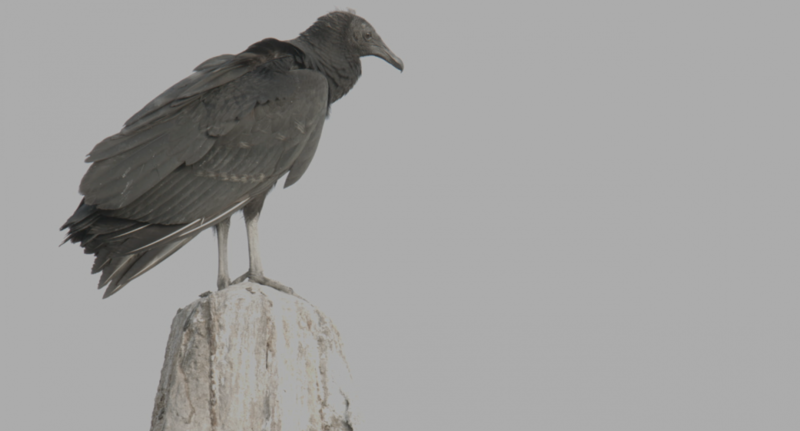 Lima’s Black Vultures contribute to waste reduction. A recent collaboration between ornithologists at the University of San Marcos, the Lima Natural History Museum, and USAID allows scientists to track individual vultures to illegal dumping sites. The initiative was seen as a way to educate about the broader issues of climate change and the environment. USAID and the Peruvian Ministry of the Environment viewed learning about garbage through the creative lens of vultures as a broader “gateway” to environmental awareness and local action. 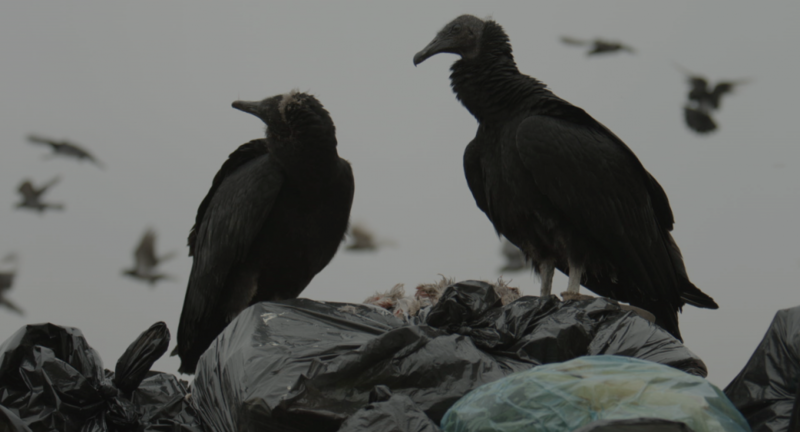 Remarkably, the vultures seem to have captured the imagination of many in Lima, and the story has become as much about how the initiative has changed the ways the public sees this oft-maligned species as about pollution. Rubey tells me there have been some 4 million social media interactions—including Facebook, Twitter, and video views. Most telling has been the ways in which human hearts seem to have softened for these vultures. The whole idea, Rubey told me in a recent phone conversation, “was to draw people into the website through social media and then leverage that into community action.” This has certainly happened, leading to a number of neighborhood-based garbage cleanup events. The campaign does seem to have improved the local view of vultures, Rubey tells me, from what was a negative view. “But you read through on Facebook and Twitter and you look at the comments and people are saying “how cute, how sweet,” because each of the vultures has a persona and a name and would ‘make’ its own posts. The response that came back was very, very positive about them as individuals, and people have favorites…” The initiative has personalized the vultures in a way that makes it hard to feel disgusted by them. Similar digital connections are being made in the marine realm, and to similar effect. The nonprofit Ocearch, for instance, has been tagging sharks and providing real-time information online about their whereabouts. These tagged sharks include a great white shark named Mary Lee, who has a Twitter account that now has more than 100,000 followers. Mary Lee (it was recently discovered that the real author of her tweets is a reporter for the Raleigh News and Observer) tweets and her followers tweet her back, sending a variety of personal messages, from wishing her a happy Mother’s Day, to encouraging her to return soon to their state or region. Along the way, followers appear to be learning about the shark—there are images, there is information about weight and distance traveled, and, in the end, perhaps there is a sense of something familiar: a digital friendship that helps to overcome the remoteness, the strong sense of “otherness,” that a creature such as a great white shark engenders. I spoke recently to Ocearch founder Chris Fischer, who discussed the ways in which his shark tagging has helped people to overcome the perhaps understandable disconnect (or aversion) that they feel towards sharks. Fischer and his Ocearch crew have tagged some 300 sharks, including about 80 great whites (Mary Lee is named after Chris’s mom). The tagging trips are usually collaborations with marine scientists, including from Woods Hole and the Mote Marine lab. Fischer points to the value of this more public-inclusive mode of science, and notes the many biological insights the trips and the tagging have generated. Beachgoers in Cape Cod attempt to save a 14-foot Great White Shark. Digital campaigns to raise awareness about species have helped soften the reputations of historically maligned species, such as the Great White. Fischer argues that most of the fear of sharks stems from a fear of the unknown. “The only time we heard about a shark was when something bad happened and now we’re talking about, ‘Could Mary Lee be pregnant? Where is she giving birth? 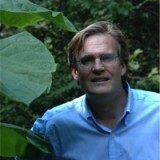 Where is the mating site?’” Facts, curiosity, and wonder replace fear. The secret to these successes seems to involve engaging the public—getting their attention and interesting them in caring about these creatures. Including the public in science gives provides people with different avenues for contact and connection “by allowing people to find their way into the project, whether it’s communicating with the shark on Twitter or tracking a shark on the tracker and then Tweeting or Facebooking a scientist with a question, and connecting all these dots for people in real time, in the now,” Fisher says. The Ocearch Facebook page now has more than 440,000 likes, so its content and photos are clearly being seen. These modern digital tools are also proving to be helpful in the classroom, where elementary school students are following sharks in real time, learning about their biology, writing in journals about these subjects, and generally replacing fear with fascination. Fischer tells me they have been working with a dozen schools to integrate a K-12 educational curriculum focused on the sharks, and to use this information in teaching other subjects, from math to physics. Fischer sees real change happening in the way sharks are being perceived, pointing to a recent episode in which Cape Cod beachgoers worked frantically to save a 14-foot great white shark. The image of people digging in the sand, passing buckets of water, pulling together a rope in an effort to get the shark back to open water is impressive to see, although it ended up being futile (you can watch the video here) While the behavior of people in Cape Cod may not be the direct result of Mary Lee tweets, these social media connections are likely quite helpful to sharks. Such efforts can lead to real and significant scientific insights, and can result in more effective management and protection. The GTOPP—Global Tagging of Pelagic Predators—has also tagged and tracking marine organisms, including sharks. Barbara Block, of Stanford, has been a leading force behind this effort, tagging sharks as well as Bluefin tuna, elephant seals, and California sea lions, among other species. Some species, such as the Pacific Bluefin tuna, are doing poorly, with populations estimated at only about 5 percent of what they had been before extensive commercial fishing. How to protect and manage this species is a real challenge, which motivated Block and her colleagues to organize a recent Bluefin Futures Symposium held at the Monterey Bay Aquarium. Tracking has led to an understanding of where essential feeding grounds are located, including the area off the northwest coast of the U.S., where nutrient uplifting happens every spring. Block has called this area our “Blue Serengeti” (in a compelling illustration of the power of language to help us connect with and understand the importance of this essential piece of seascape). Can tracking this species ignite a level of engagement with and concern for tuna, and perhaps create the political space and cover for the tough management and conservation decisions necessary to ensure that Pacific Bluefin tuna doesn’t, as Block says, “go the way of the cod”? It is hard to know, but the new ways that technology may allow us to “wire the ocean” through a network of WiFi buoys and wave gliders are promising. There are many other creative ways, of course, that our modern digital technologies can foster nature connections. Our iPhones and tablets provide almost unlimited opportunities to record the natural world around us and to effortlessly share these images, observations, and experiences with friends and family. We are able prod, induce, and incite with our Twitter posts, and Twitter and social media campaigns have proven to be effective methods for encouraging more nature-full lives. In these ways, we are beginning to shift from seeing social media, and the emerging digital tools and technologies through which we navigate it, not only or primarily as distractions, but also as tools for nature reconnection. 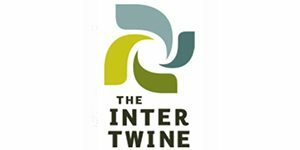 While we are still collectively learning how to harness the power of the digital realm, these examples provide at least some positive counter-story, demonstrating that the same tools by which we are stitching together a global human commons might also be useful in helping to craft an even more inclusive global commons of life. These tools, from Twitter to Facebook, offer benefits of immediacy and, for many, sheer fun. Anything we can do to overcome the cognitive and emotional gulf that exists between humans and the many other species we share the world with is helpful. 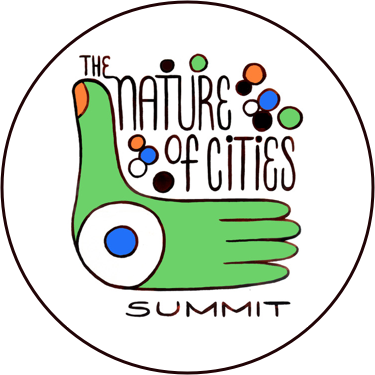 We live in a world where ubiquitous technology, including iPhones and handheld devices of various kinds, offers the opportunity to instantly learn about and connect with nature. This technology provides the chance to see and experience nature and to follow it in real time—both nearby (the black vultures above, the great white shark just offshore), and far away (the Bluefin tuna swimming in the middle of the Pacific ocean). These connections are fleeting, and the digital bonds feel cursory and shallow. But through them, we are extending our innate curiosity and softening our hearts to vultures and sharks, and many other species—which suggests that we are laying some foundations for the development of a deeper sense of understanding and caring.